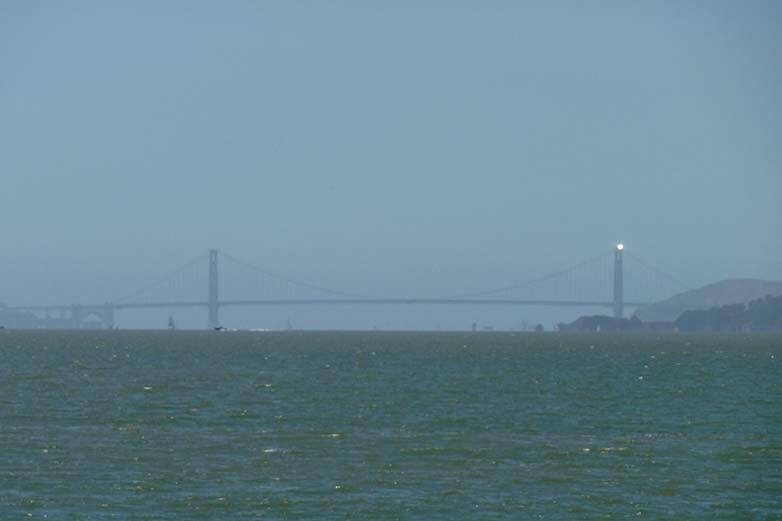 Solar Beacon is a sci-art installation on top of the two towers of the Golden Gate Bridge that reflects the Sun’s light throughout the San Francisco Bay Area, celebrating the man-made structure’s 75th anniversary. It is a white-light variation of Solar Hills, the ongoing collaboration between John Vallerga and Liliane Lijn to delineate the horizon with point of spectral light. Observers of Solar Beacon will see two points of white light, one on each tower top, that are as bright as the Sun, but much smaller in size. Through an online interface, the public can schedule a time-based performance, during which the observed spots of sun-light will appear to turn on and off. Because the reflected light is projected in a narrow beam, a half degree across, the performance only appears to a region around the observer (e.g. 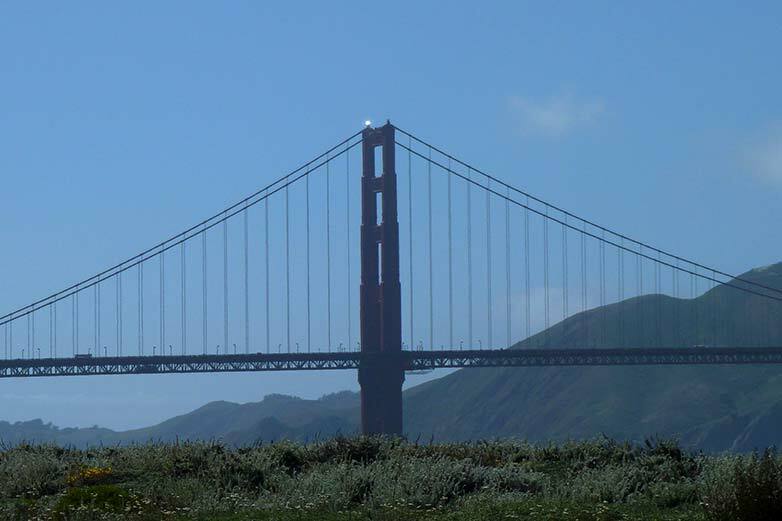 17m at 2 km), but it can be seen by anyone in the Bay Area, who has direct view of the tops of the Golden Gate Bridge towers. Solar Beacon acts as a bridge between Sun and Observer, Sky and Earth, Natural and Man-Made. 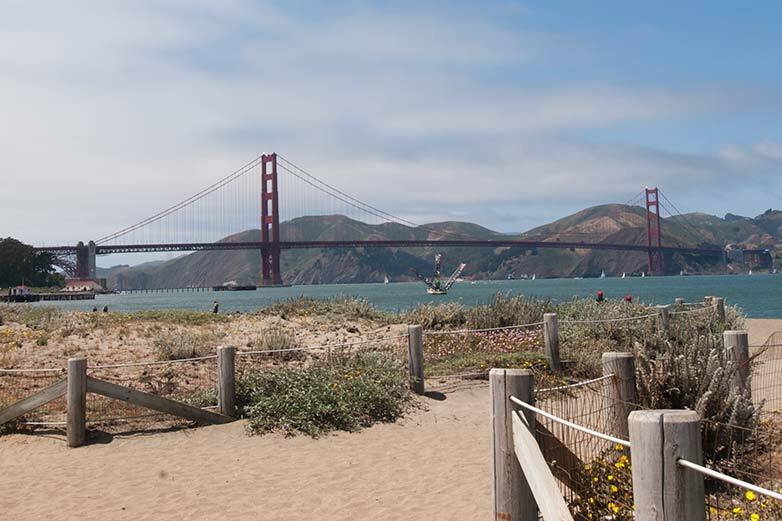 In concept and design it has connected Artist and Scientist as well as Golden Gate Bridge Engineers and Aeronautical Engineers from the Space Sciences Laboratory at U.C. Berkeley. 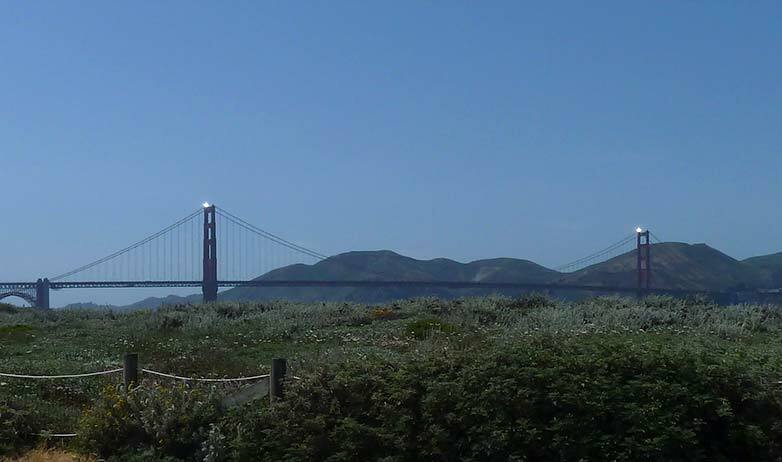 During the 75th Anniversary celebrations and until August 30th 2012, the solar beam will directly link the line of sight between the public and the bridge they love.